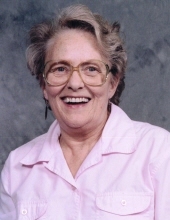 Roberta Lynn “Bobby” Sumner, age 81, of Aurora, Missouri, passed away at 6:22 a.m. on Saturday, September 29, 2018, at her home. She was born May 25, 1937, Chicago, Illinois, the daughter of the late Lyle Everett and Kathrine Ruth (Walstra) Hedrick. Bobby was a 1955 graduate of Rosemead High School in Rosemead, California and was an assistant cook for the Senior Citizens Center in Douglas County, Nevada. On September 9, 1996, she married Jake Sumner, in Gardnerville, Nevada. She is and was the Queen of my heart and always will be. Bobby is survived by her husband of 22 years, Jake; two daughters, Victoria Steelsmith and Michelle Mello, both of Gardnerville, Nevada; two sons, Richard Tapparo of San Dimas, California and Phillip Webber of Drakes Branch, Virginia; one brother, Bruce Hedrick of Reno, Nevada; 11 grandchildren and four great-grandchildren. A graveside service, under the direction of the Crafton-Cantrell Funeral Home in Aurora will be held at 2:00 p.m. on Tuesday, October 9, 2018, at the Missouri Veteran’s Cemetery in Springfield, Missouri. To send flowers or a remembrance gift to the family of Roberta Lynn "Bobby" Sumner, please visit our Tribute Store. "Email Address" would like to share the life celebration of Roberta Lynn "Bobby" Sumner. Click on the "link" to go to share a favorite memory or leave a condolence message for the family.